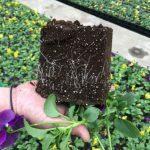 The annual MANTS show in Baltimore just completed with record attendance; demonstrating how much demand, growth, opportunity and optimism there is the nursery and landscape industry. SRN had most of our team there for several days networking with other professionals and building relationships with our vendors and growers. 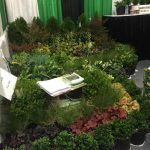 We are thankful that we secured out allotment of red maples, Zelkova, elms and other shade trees back in the summer along with Green Giant arbs, Cryptomeria, boxwood, and inkberry since there were none to be found in the entire show. Get your orders in early to SRN to secure these extremely limited-availability items!